Read Klook's Paris travel guide for city highlights including the Eiffel Tower and Paris Pass attractions! Freely discover the beauty of France with the Eurail Pass for France (Second Class), offering travelers unlimited train rides for up to 8 days! Simply make a booking by selecting your departure date to France and your preferred validity period, depending on what suits your itinerary best. 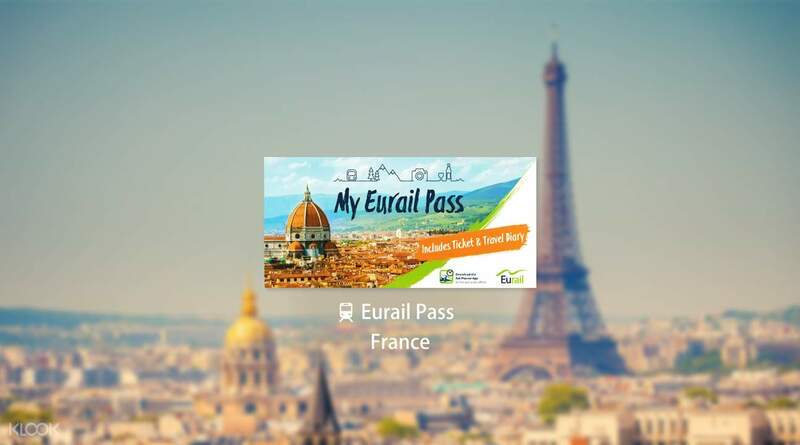 With the Eurail Pass for France, you won't have to buy multiple tickets throughout the trip - just present your valid Eurail Pass at the train station, hop on the train, and off you go! You'll also enjoy free delivery directly to your doorstep and other benefits like discounts on other means of transportation and city cards! Experience convenient and hassle-free travels in France by train with the Eurail Pass for France (Second Class)! I have got real pass after bough online 3-4 days ( quite fast ) and validated on the first day I used ( for 3 pass took time for validation 3-4 mins ... quite fast again) but some route I had to have seat reservation those cost Euro 10-15 that cheaper than I bough tickets without pass 90 %. If you have a plane to travel long route in France , this pass is recommended. I have got real pass after bough online 3-4 days ( quite fast ) and validated on the first day I used ( for 3 pass took time for validation 3-4 mins ... quite fast again) but some route I had to have seat reservation those cost Euro 10-15 that cheaper than I bough tickets without pass 90 %. If you have a plane to travel long route in France , this pass is recommended.